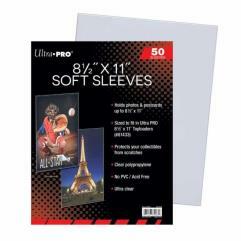 Archival-grade, acid-free and non-PVC premium card sleeves designed to hold standard 8-1/2" X 11" documents. Ideal for use with photos. 50 count per pack.